I grew up in a neighborhood with a lot of other kids my age. Even though I was an introvert, I knew everyone on my block — and I never thought about “what” to talk about. We all knew what everybody else was up to, what games we all liked to play, and who had gotten the farthest in Super Mario 3. For the most part, conversations were easy, even though they sometimes completely wiped me out. But then I got to college. In college, suddenly I knew no one. All the friends I had grown up with were far away. The people around me seemed to have no problem connecting with each other. Even though they had started off as complete strangers, they were soon laughing and chatting like good friends. I, on the other hand, was left out. Did I miss some important friend-making memo? 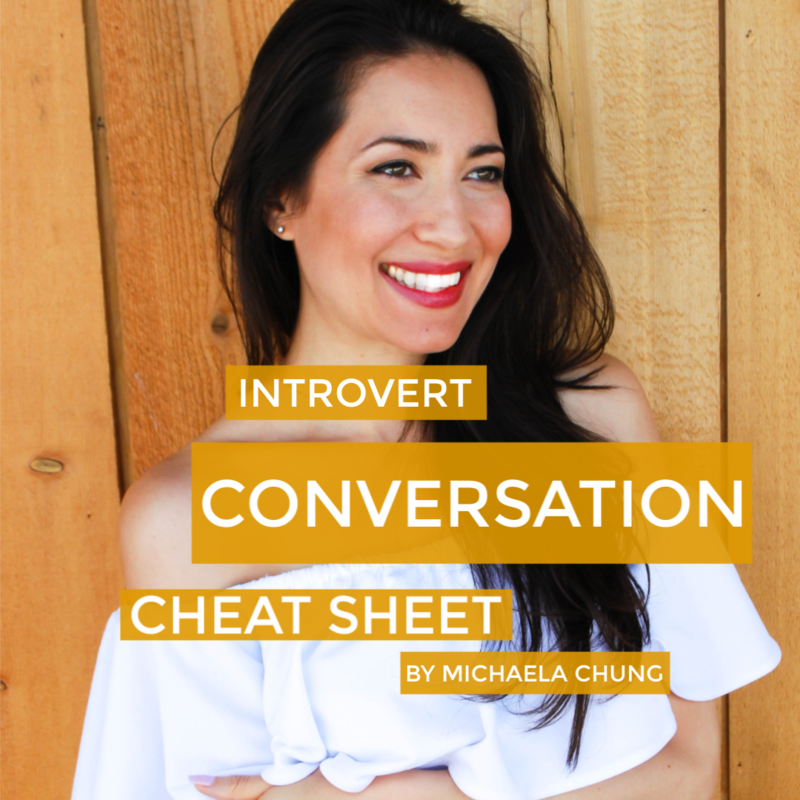 Turns out, I’d run head-first into a problem that most of us introverts deal with our whole lives: the small talk barrier. To be clear, not everyone hates small talk, and some people actually enjoy it. 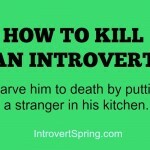 Those people are probably not introverts. For example, when I get invited to a social event, one of the biggest reasons I might say no has to do with whether I think I’ll have to make a lot of small talk. And I’m not alone in that. Introverts in general hate small talk, and not because we’re antisocial. It’s because, at least in part, of how our brains are wired — and how we have limited energy to spend on the external world in the first place. 1. Small talk often comes at unwelcome times. 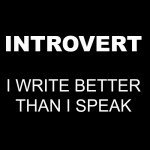 When I started Introvert, Dear, it was a personal blog I wrote in my spare time. I’d go to coffee shops with my laptop in the evening, hoping to get work done. But I’d often get quickly derailed by whichever nearby extrovert wanted to chat. Needless to say, I learned to grab a secluded corner table or stay home. 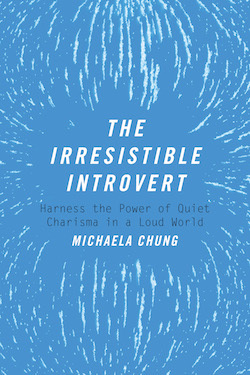 It’s no secret that we introverts do our best work when we’re alone. We need to be able to focus, without distraction, to dive deep into our inner world and produce our best work. 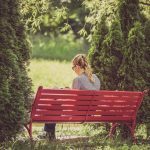 We also need this solitude to tap into our creative side, to read and absorb information, and to simply recharge. But too often, strangers (or coworkers) think it’s fine to make chitchat while we’re already doing something. This might be excusable if the interruption led somewhere meaningful, but usually, it doesn’t. Attention, extroverts: don’t make me take out my earbuds just to tell me about the weather! 2. Small talk can be a barrier to true connection. When I meet someone new, I’m hoping there will be a connection. I’m looking to find common ground, to see qualities I admire or respect, to explore conversation topics that are interesting and complex. But small talk acts like a wall preventing me from doing that. Instead of their story and their ideas and their hopes, I’m hearing about their weekend plans or what they ate for lunch. And I’ll be honest, I’d rather not spend my limited energy budget on that. 3. Small talk is the “empty calories” of conversation. As an introvert, I only have so much energy I can put into people and talking. When it’s out, it’s out — and I’m careful to plan my days around that. When I get trapped making small talk, it feels like I’m burning through my battery at maximum speed, and all for a conversation that no one will remember in 30 minutes. That’s kind of like eating a whole bunch of empty calories when you’re supposed to be on a diet. Is it really worth it? Unfortunately, most of the world doesn’t share introverts’ feelings on small talk. 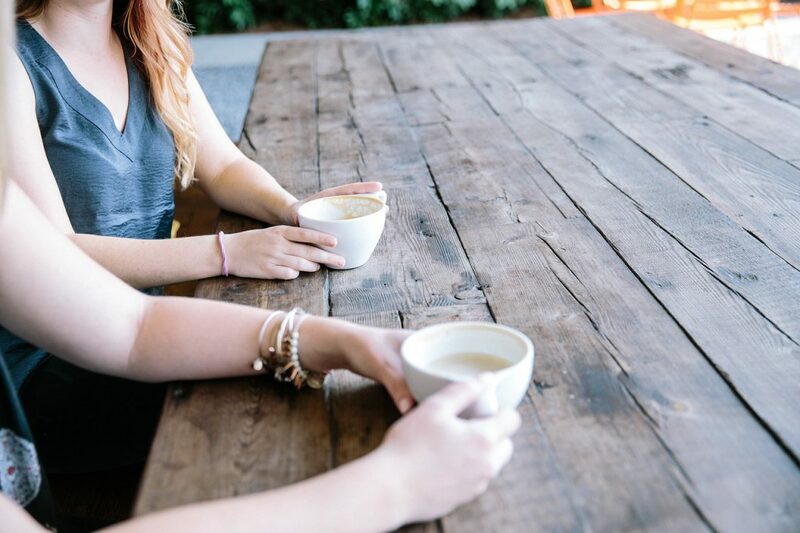 This often means we end up like I did in college, feeling left out and friendless — when what we really want is to connect deeply and authentically with someone. When someone gives you a one-word answer or keeps things simple, follow up by asking a “why” question. For example, when someone tells you what they do for a living, follow up by asking why they chose that profession. 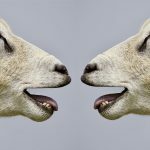 You’ll learn more about what makes the other person tick and steer the conversation in a more meaningful direction. Bring up a current event or opinion piece you read recently (but avoid politics, unless you know where your conversation partner stands!). Have they heard about this? What do they think? Wow, it’s really awkward when you don’t know anyone here, right? I gotta admit, I cannot tell the difference between certain wines. To be honest, I’m dreading summer being over. Winter hits me pretty hard. You know, I’m not really a big talker, but I like to listen. Why don’t you tell me about yourself? What’s the hardest thing you’ve had to do recently? Imagine you had plenty of money and your family told you to take six months and just do your own thing. What would you do? If you could apprentice under one famous person, living or dead, who would it be? Sometimes we have to remind ourselves that, as introverts, our need for meaningful conversation (or silence!) is just as valid as an extrovert’s need for chatter. And I think the healthiest thing you can do as an introvert is to know your needs and be firm on your boundaries where necessary. If your battery is running low, and you really can’t deal with more small talk, you don’t have to use any of the tactics above. You can stay home, and that’s okay. Or, if a particular event is important, set a time limit. Give yourself one hour or 90 minutes and, when the time is up, say your goodbyes and leave. Either way, if people object, let them know you’re an introvert, and what that means. Giving myself permission to say those words was one of the most powerful choices I’ve ever made. And remember: Underneath every shallow conversation is a pair of human beings struggling to connect. 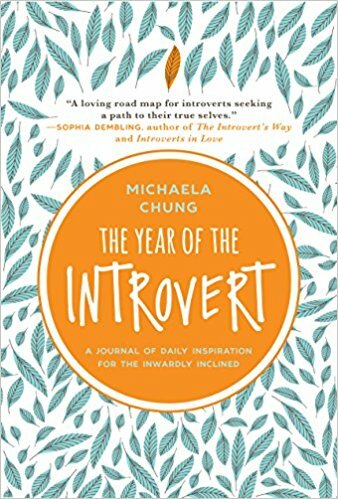 As introverts, we might be even more aware of this fact than others. And we have the power to move that conversation deeper. 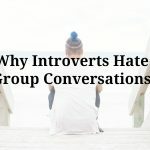 A version of this article originally appeared at Introvert, Dear. 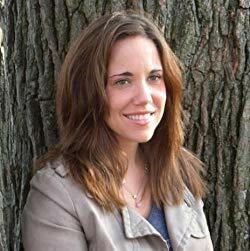 Jenn Granneman, author of The Secret Lives of Introverts, is the founder of IntrovertDear.com and the co-founder of HighlySensitiveRefuge.com. 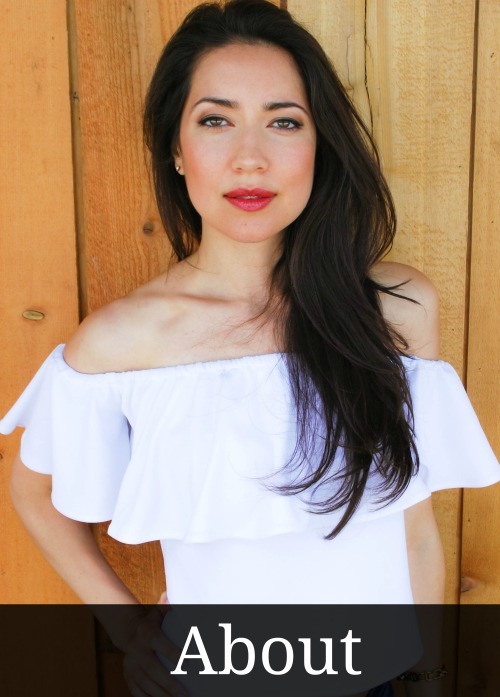 She also blogs for Psychology Today and co-hosts The Introvert, Dear Podcast. Jenn is (quietly) on a mission to let introverts everywhere know it’s okay to be who they are. As a middle aged woman, I have gotten very good at small talk. Reading your blog, I think I understand why. I tend to do a combination of numbers 2 & 3: I ask more interesting questions, and am happy to reveal more personal details about myself. Hi Jenn! 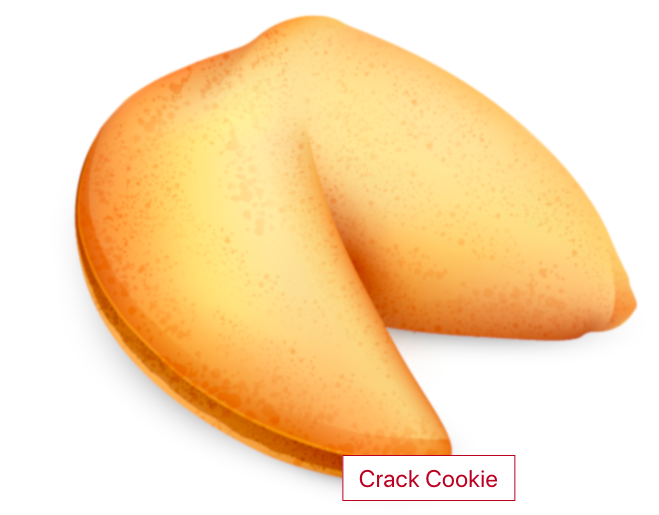 Very insightful – thank you! #2 works for me all the time. It engages people and it doesn’t put pressure on me to “lead” the conversation because I am humanizing myself more. I can also come off as funny which makes me more relatable, I think. I consider myself to be extremely introverted but I actually like small talks. It’s a relief when I am not in the mood to engage in “deeper” conversations (and most of the time I am not as I don’t have the energy to).